Since more than a third of World’s population own a smartphone, it’s vital to stay secure when you’re browsing on your mobile, especially while using public WiFi networks. Luckily, there’s a hassle-free solution to protect your online identity. Surfshark VPN app for Android will defend you with just one click. Android is the most common mobile operating system in the world. It has over 2 billion active monthly devices, and the numbers have been growing. If you’re reading this article, the chances are you rely on Android as well. However, it’s popular, but often extremely vulnerable to hacking. Almost every month there are stories of new Android privacy breaches or attacks. If you don’t want to be a victim of cyber crimes I recommend installing a VPN. It’s a cheap, but robust solution against such threats. VPN stands for a virtual private network, and it creates a secure and encrypted connection. It makes it very difficult for anyone to see what you’re doing online. Most of the reliable VPN providers use strong encryption, IP masking and promise a strict no logs policy (meaning, your online activities are not tracked or monitored). A VPN for your Android phone is especially required if you frequently use public WiFi hotspots. They are often unsecured, and hackers can use it to snoop on what people are doing online. For example, if you’re logging into your bank account or checking your email while on public WiFi, a scammer nearby could view your activity. There are sophisticated tools do so without you even noticing. This time I want to talk about Surfshark VPN because getting Surfshark is such a simple step to take control of your privacy. Simplicity. Surfshark is such a hassle-free solution, you can almost forget you’re using it! 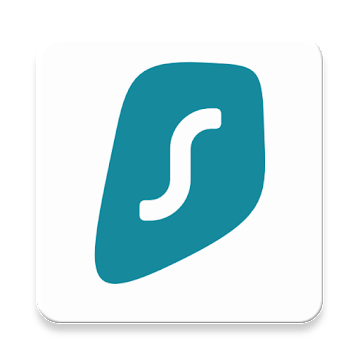 Surfshark app for Android not only provides tight security and privacy but also opens doors to the unrestricted internet. You can stream your favorite Netflix shows, sporting events whenever you are. If you connect to Surfshark server in the UK, you get all of the content that is available in Britain. It’s handy for people who travel a lot but don’t want to miss out on their beloved TV series. Surfshark is my pick because the speed is fantastic and I could feel no difference between the speed while connected to VPN and not connected. Have questions? Contact they Support team, who are there for you 24/7. This is best VPN I think.. Is it free to download or have to pay..
You have noticed features only it would be nice if you showcase some drawbacks as well. Thanks!! Sure I will try this app.